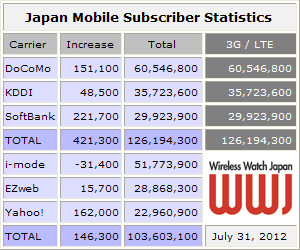 So, with very little fanfare, KDDI shuttered it’s old CDMAOne network last month making Japan an ‘entirely’ 3G+ country. While of course there is still the old Willcom PHS network, with about 4.7M enterprise-focused voice subs, to be nigglie.. but still.. did we say WOW! Nation-Wide VoIP Network by Stealth?